Today in AP Physics 2, we discussed the Second Law of Thermodynamics from the perspective of entropy as a measure of the probability that a certain state will occur. Groups finished their analysis of their data from yesterday’s activity. I then shared the analysis of the data aggregated across all of the groups. 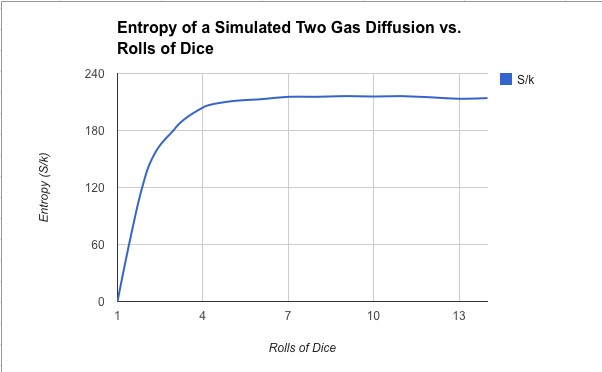 It dramatically illustrated how quickly the entropy of the system increases and how it does not decrease with a sufficiently large sample size.